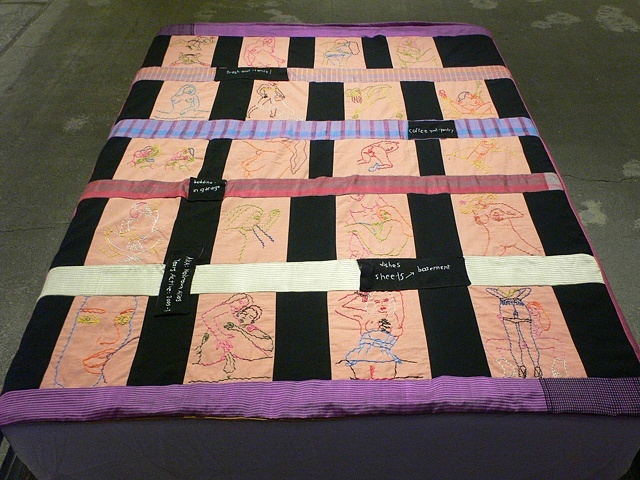 Hand Embroidered intimate images on cotton panels, with silk strips interlocking, separating. Three layers of cotton sheets are sealed by the 2 outer layers of silk. Front side also has embroidered "pockets".